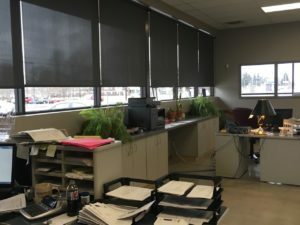 The new location boasts a large, clean and nicely decorated waiting area and three manned desks for helping people who need to borrow or return equipment. The cleaning and refurbishing now takes place behind closed doors, so the smells of cleaning chemicals and the sounds of the steaming machine are not a distraction to the employees and volunteers trying to help people who need our services. Finally, we have a large room for UV sterilization and a wash room that has a large roll-in cleaning area, plus the equipment washing machine. 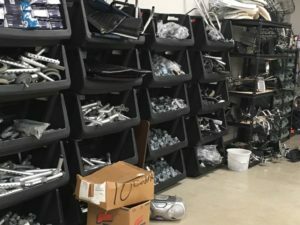 The workshop is being organized with shelving and drawers, labeled parts and a “needs repaired” area separate from the “ready to loan” area. The setup makes it easier for those working the front office to know what equipment is clean and ready to be loaned and what equipment still needs refurbished. 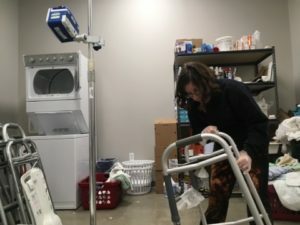 It’s much easier to give directions to the new MERP, and because of its great location more people are happening upon it and obtaining the equipment they need to live more independently. 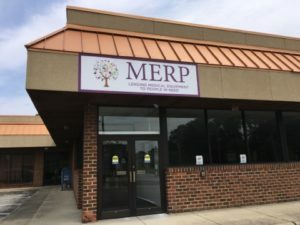 Building upon over 20 years of success and partnerships, MERP has now loaned 28,456 pieces of medical equipment valued at nearly $3.5 million to over 21,000 people. Cackles, Clutches & Cocktails Fundraiser – A Great Event!